Mocha Glo Bars — Ginger writes. 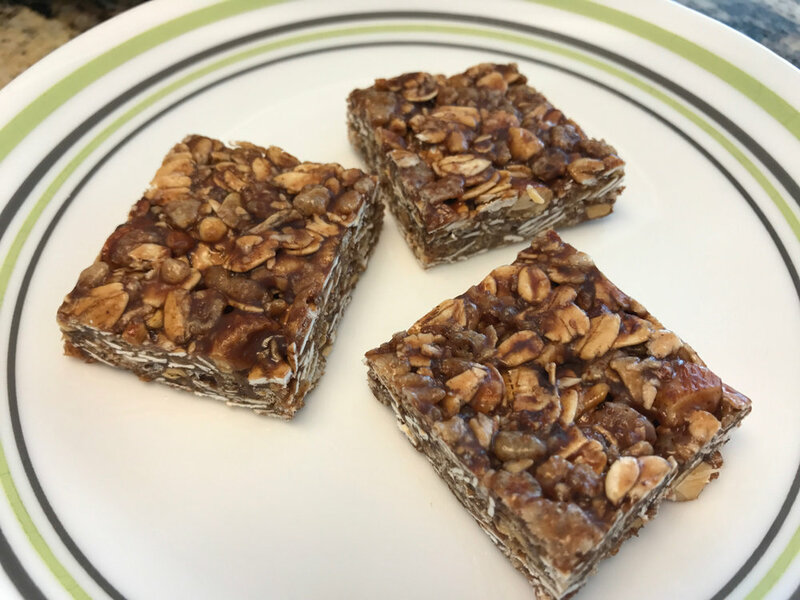 These are my new favorite no-bake bars, not to be confused with this earlier different version. I feel a little bad that I don't have any great new dinner recipes to share (and haven't in a couple months), but that's because I keep cooking the same-old, same-old and I've posted all those recipes already. I hope to be dinner-inspired again somehow and soon, but in the meantime, I have been waiting for the day I could break out this breakfast bar beauty on the blog. 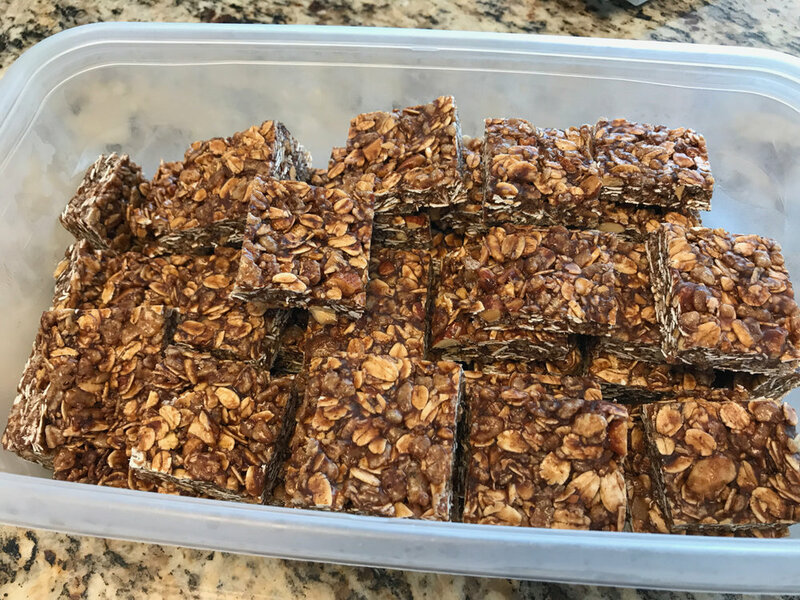 I keep these "new no-bake bars," as Story calls them, on hand all the time now because [minutiae-alert:] I love the bars, six to be exact, with my bulletproof coffee and my one over-medium egg each morning. Speaking of...I am now in the official habit of eating one of the pastel blue eggs from our chickens each morning, and it tastes terrific. And yesterday was our first day to get five eggs at once! Very exciting. Everybody but Bauer has fallen in love with the bars too. 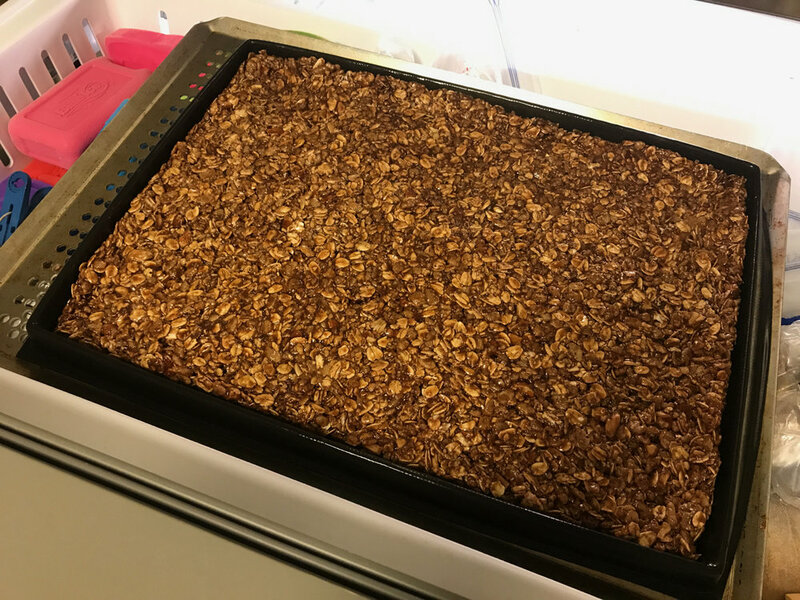 It took a couple of attempts at making the bars because the original recipe calls for ground coffee to be mixed in with the dry ingredients. I liked that version fine, but I agree with TJ that eating coffee while drinking coffee is a bit much. And coffee-laced bars were just too strong for the kids' tastes. From the start, though, I've omitted the coconut flakes because I don't like coconut-anything. I wish I did! Also, I'm not really sure what to call the bars. "Mocha" in the name signifies coffee and chocolate together, but I'm leaving out the coffee. I guess I'll just think of the coffee I drink with the bars as the coffee component. I like the way Mocha Glo sounds. And I hope you will like the way it tastes. Click here for the PDF to view and print.